With daylight savings time coming up this weekend, some of us early birds are going to be waking up to emptier streets and quieter mornings. 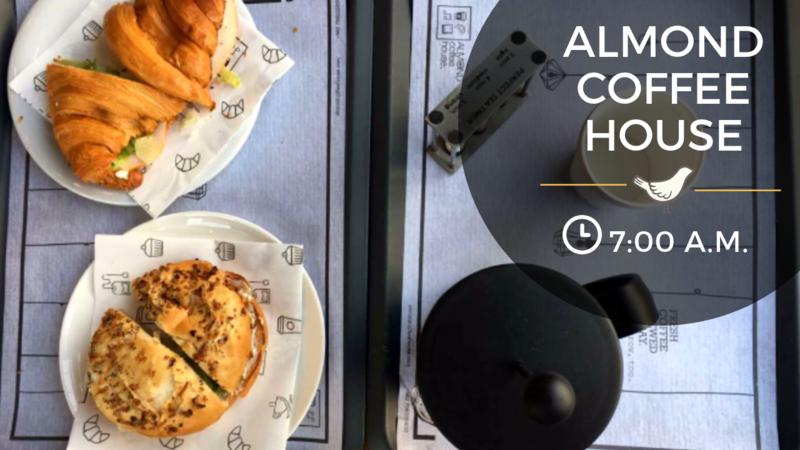 In order to shake off the funk of feeling like we accidentally set our alarms one or two hours too early compared to the rest of Amman, we’ve compiled a list of spots to head out to the minute your morning begins for some good coffee or a fresh man’ousheh, even if the sun isn’t out yet. Hash browns and sausages anyone? 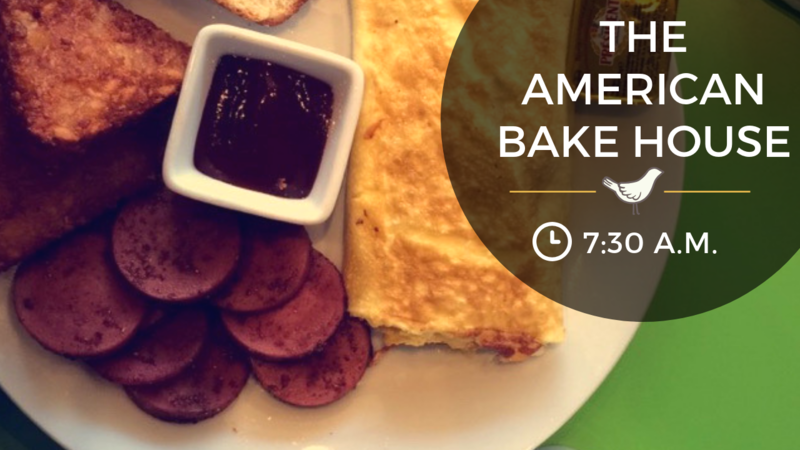 The Bake House is your to-go-to spot for an authentic American breakfast. This retro-style restaurant offers everything from country fried steak with eggs to ice cream caramel waffles. Even those who aren’t early birds make an exception when they hear the words “breakfast buffet”. 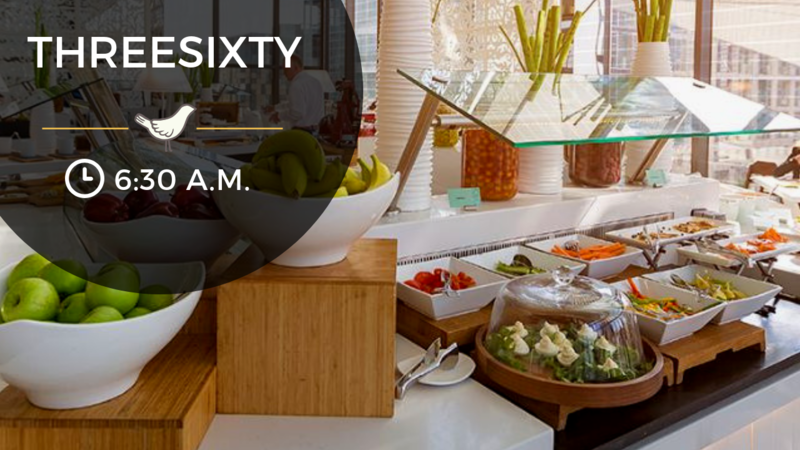 Head to ThreeSixty at the Amman Rotana Hotel where you can enjoy a wide variety of breakfast items and live cooking stations with a panoramic view of the city. Nothing is more filling than a traditional Jordanian breakfast. 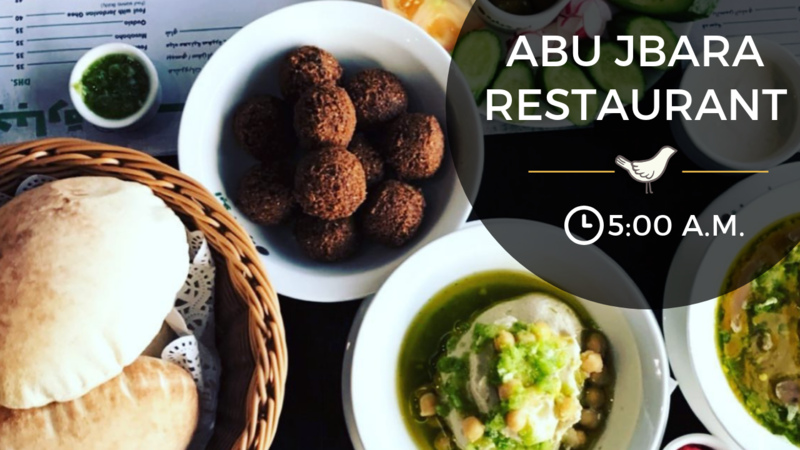 Whether you dine in or get takeout, Abu Jbara is bound to give you what you’re looking for, with their stuffed falafel sandwiches and hearty foul bowls. The great thing is you don’t need to wait that long to get your food either! 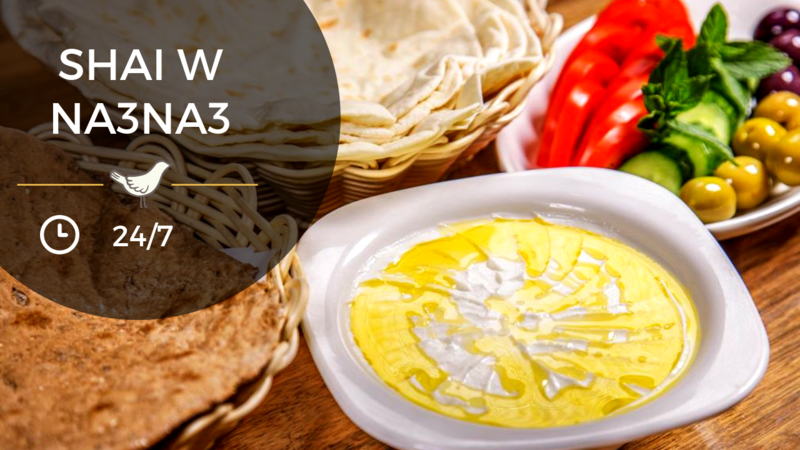 Shai w Na3na3 is a great combination in reality and the place sharing it’s namesake is a great location for the mornings. This place operates round the clock, meaning you might catch some late-night loungers there if you go in the wee hours of the morning. Head there for some “lahm bi ajeen” and a nice cup of tea. 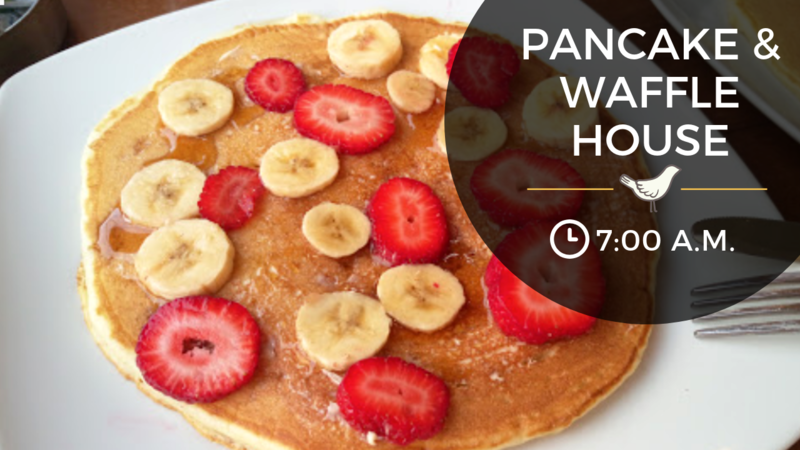 If you wake up with big cravings, the best place to go is Pancake and Waffle House. Indulge in some savory eggs and decadent waffles, pancakes, or French toast, with a good cup of joe and some fresh OJ. Mmm, talk about hitting the spot! Sometimes you just don’t feel like scanning through a big menu and making decisions in the morning, you just want your good ol’ classic breakfast: hummus and falafel at Hashem. Even though this spot is open 24/7, there’s always something special about heading to downtown Amman in the early morning. The poet Rumi once said, “Whatever lifts the corners of your mouth, trust that.” Well, make no mistake, Rumi Café lifts the corners of the mouths of many of its loyal patrons hanging out at all times of the day. There must be something they’re doing right. If you’re first on the scene, you can find yourself the best spot outside, have some coffee and a slice of artisanal cake, and watch Alweibdeh slowly come to life. Feel like starting your day with a good deed? 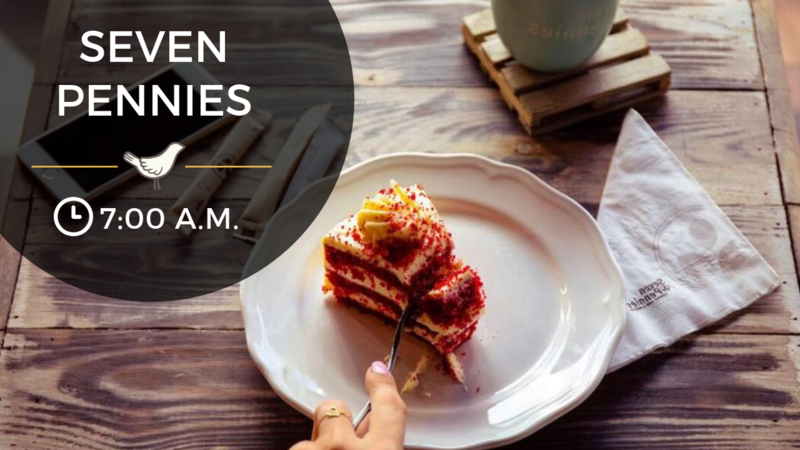 You can go to Seven Pennies at 7 a.m., get a head start on the day ahead and for every JD you spend they donate 7 piasters to a good cause. With some crisp cold winters coming up, you can swap your coffee for a warm cup of hot chocolate and read a book or get some work done. 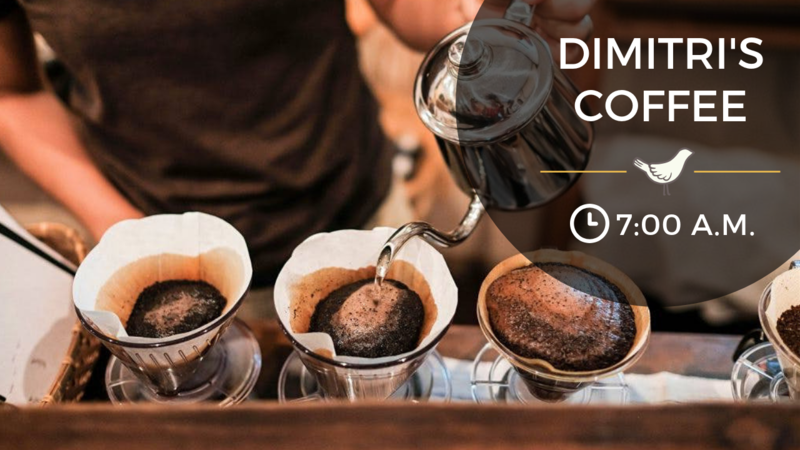 For the coffee connoisseurs out there, nothing beats Dimitri’s Coffee, where each cup is prepared carefully and individually to ensure you get your speciality pick-me-up in the morning. Not a bad way to treat yourself in wee hours, eh? Some say our productivity plummets after midday. 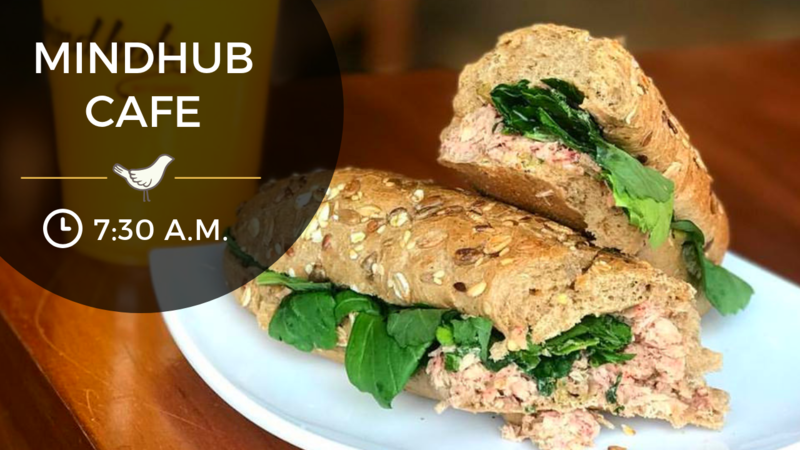 This is why you should make the most of your mornings and find yourself a corner in the quiet and smoke-free confines of Mindhub. Don’t just go for a drink, make sure to try one of their sandwiches or cookies too. 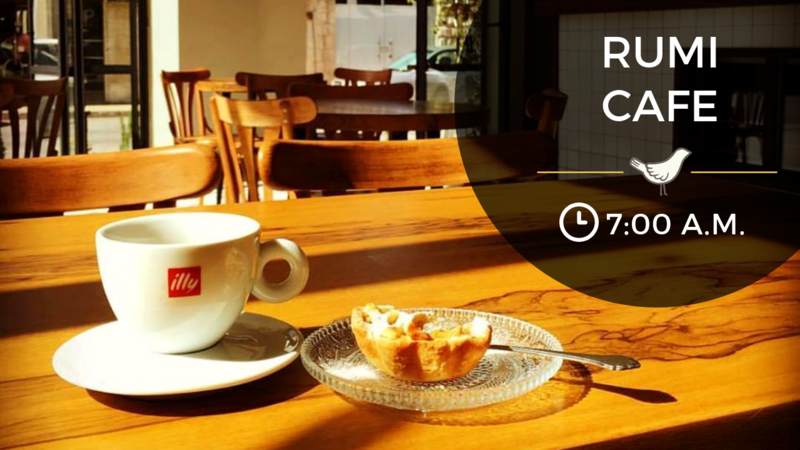 If you need to get your head in the zone and focus, head to Almond Coffee House, where you can find a quiet spot (mornings only) and sip on their coffee to get your productivity flowing. The good thing about early mornings is that the sun isn’t too hot to enjoy their rooftop terrace (weather permitting of course)! Sometimes we have a bit of last-minute cramming to do before a big meeting or an exam. 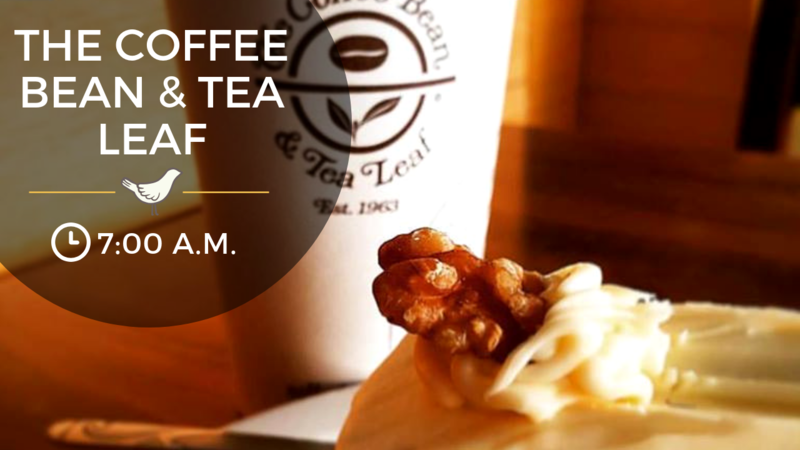 Coffee Bean and Tea Leaf opens early enough to give us time to prepare properly and stock up on the caffeine before a big day. 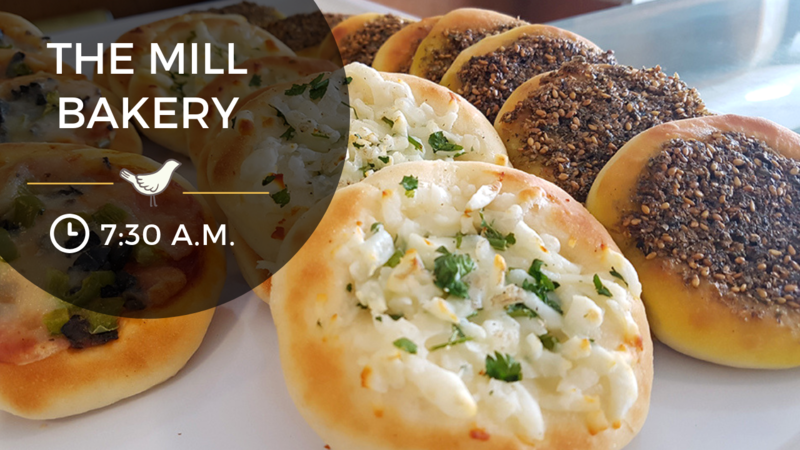 Early risers should head straight to the Mill Bakery for some of the best freshly-baked mana’eesh. Nothing opens up an appetite better than the smell of za’tar wafting through the air. Make sure to check if they’ve got any of their scrumptious coconut bites for your morning dessert. Foron Rex is heaven for those of us with a love for baked goods in the early morning. 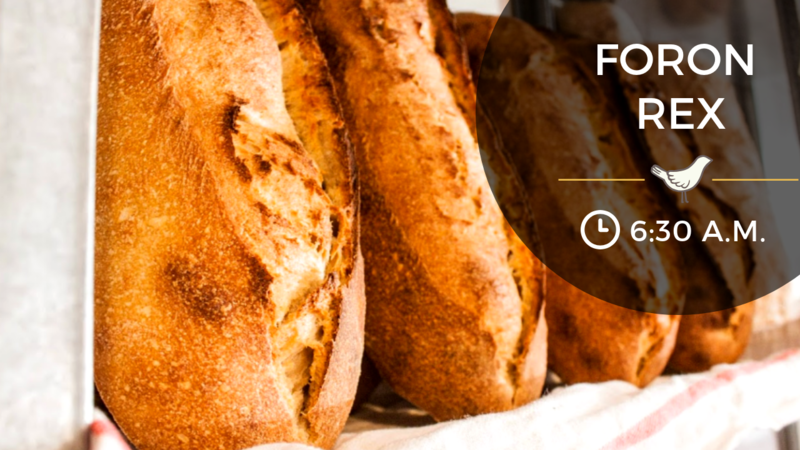 Whether you’re looking for some fresh bread, crispy croissants or sugary pastries, this place has got your back. You can even pre-order to guarantee you start your day disappointment-free. 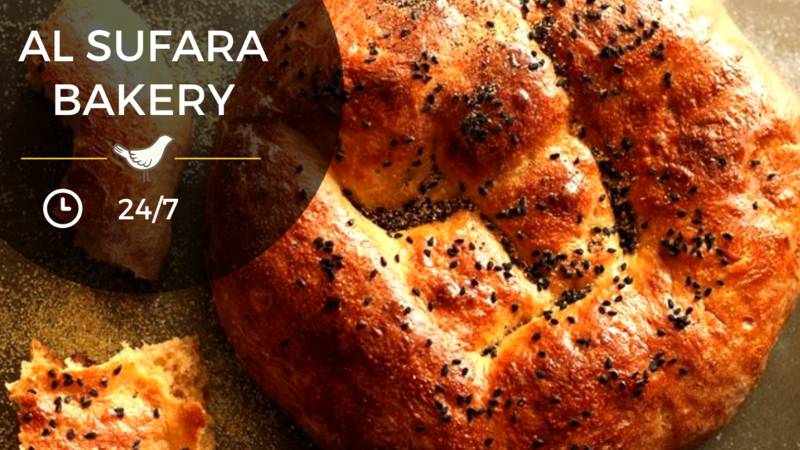 If your mornings start at 3 a.m. or 7 a.m., Al Sufara Bakery is open 24/7 to welcome you with a ton of different options, from ka’ek with sesame and taboun to gluten-free bread and sweets. Some people think it’s crazy to wake up early, especially on a weekend. 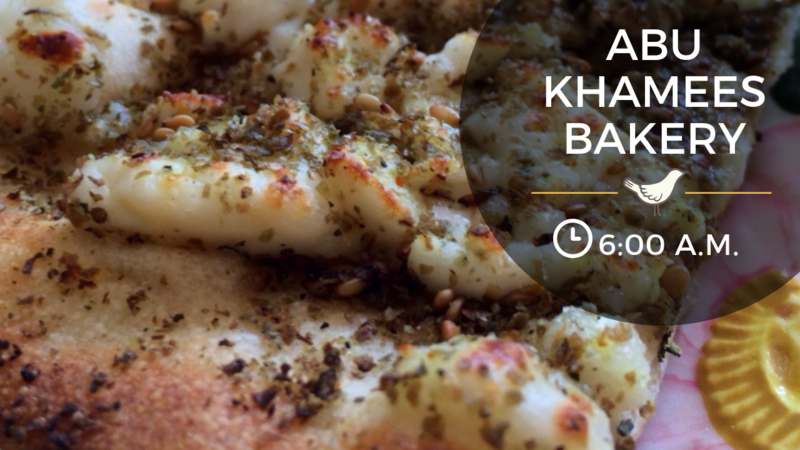 But for those of us who want to make the most of the day before the sun even rises, Abu Khamees Bakery, which opens at 5 a.m. on Fridays (an hour earlier than their usual), is a fantastic spot to start the day with. 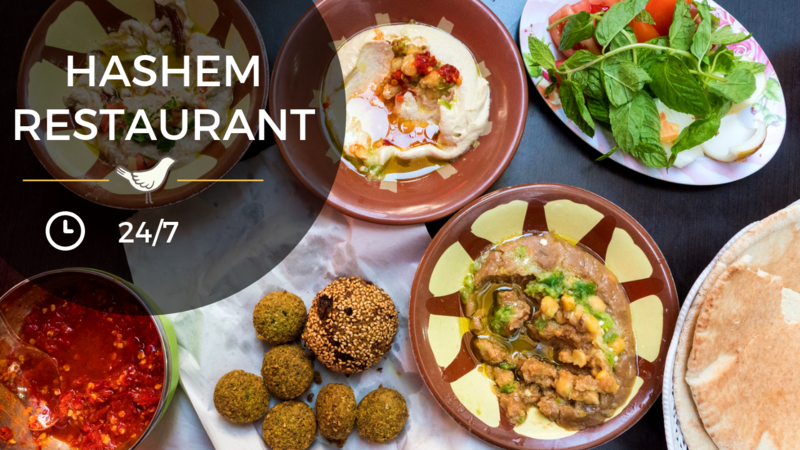 Get some mouth-watering mana’eesh that has been voted Best of Amman by the Tip n’ Tag Community and wait for the sun to rise! Sabaho means good morning, and nothing says good morning more than some fresh pastries pulled straight out of the oven. 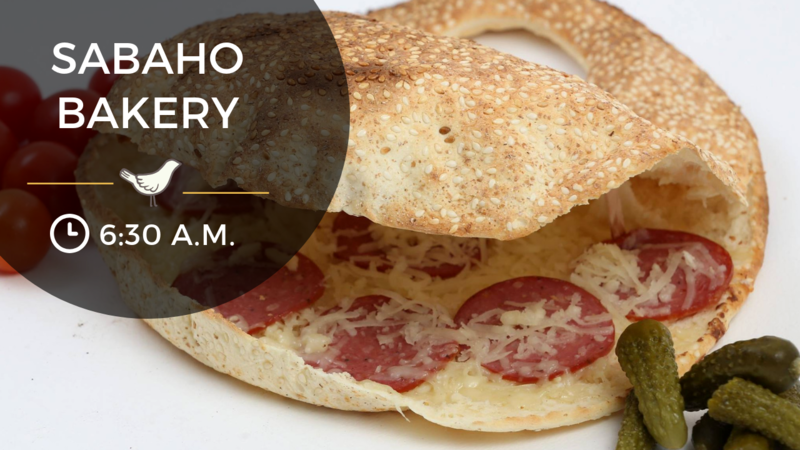 Sabaho Bakery has different cheeses and toppings you can add, as well as a whole wheat dough option. You can sit there or grab your food to go. Remember Tipsters, the early bird catches the best breakfast!